How well known is Operational Research outside the academic institutions where OR is taught and the specialised companies where OR is practiced or used? What do managers, decision managers and public officers know about Operational Research and Decision Analysis? How OR is perceived in the world where our findings are finally applied? OR is present in the everyday life of hundreds of millions of people through logistics, network management, environmental assessment, transportation facilities and several other applications improving the life of individuals and organisations all around the world. But how many people are aware of the existence of our discipline? 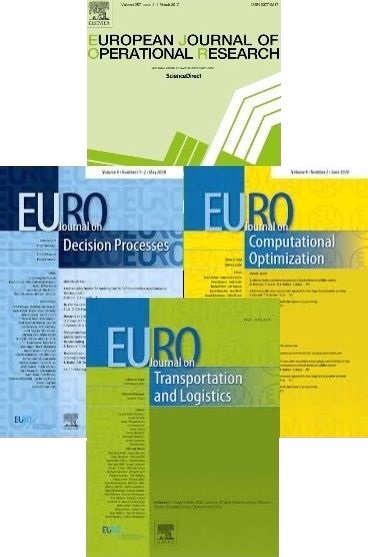 Many scientific societies (including EURO and INFORMS) have dedicated resources on how to brand Operational Research, to improve the way by which OR is perceived, evaluated and presented. EURO considers that this is a major challenge for the promotion of our discipline in the future. This web page presents some links related to this initiative. All logos on this page are licensed under the Creative Commons Attribution-Share Alike 4.0 International license. The logo can be downloaded in various formats and colors here.